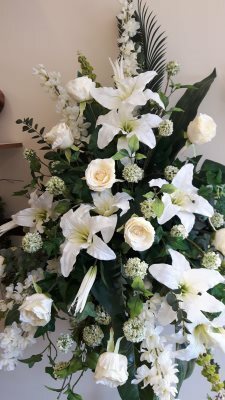 Having fresh flowers beautifully arranged for an important occasion like a wedding requires creative skill to capture the moment in dazzling displays. 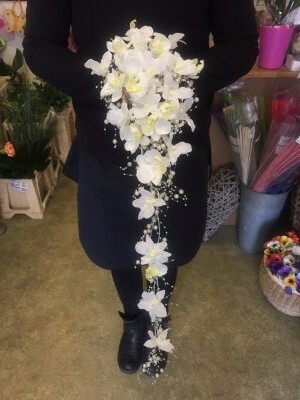 Sherill Wallace of Dalbeattie florists Flowers for You will guide you through the varieties of flowers, from buttonholes to bouquets, required to complement the style of your wedding. We also have two pedestals and two bay trees for hire and can decorate these to match your wedding colour scheme. The hire cost is £25 per item. Flowers for You takes great care to ensure your wedding flowers are all that you could wish for on your Big Day. Located at 102a, High Street, Dalbeattie, DG5 4HB.